Let us begin with some thoughts on what we mean by the expression “new evangelisation“. We are doubtless all familiar with the term ‘evangelisation’, which comes from Greek and means, ‘to announce Good News’ or ‘glad tidings’. It is what we find referred to in St Mark’s Gospel, for example: “After John was put in prison, Jesus went into Galilee, proclaiming the good news of God. ‘The time has come,’ he said. ‘The kingdom of God has come near. Repent and believe the good news!’” (1:14-15). It is interesting to note that non-Roman Catholics tend to use term ‘evangelism‘, but this usually refers to specific acts of Christian witness. The Roman Catholic term ‘evangelisation’ (used now by some non-Roman Catholics) includes specific acts of witness, but is in fact much broader. It is a modern term. Pre-Vatican II circles spoke of mission and ‘missiology’ (the theology of mission). Mission was chiefly seen as something taking place oversees, the bringing of the Gospel to native peoples. In Vatican II itself, the word ‘evangelisation’ not used, but it did come into widespread use shortly afterwards. The Council’s Decree on Missionary Activity of Church Ad Gentes (#2) spoke of mission as being rooted — not in us and our activity — but in the Blessed Trinity Itself: in the Father’s sending of his Son and the sending of the Holy Spirit. The Church was thus seen to be ‘by its very nature missionary’, and ‘in mission’ on all continents. that is, to preach and teach, to be the channel of the gift of grace” (EN # 14). In other words, evangelisation is now seen as belonging to the very nature of the Church. The very reason for her existence in history and in cultures is to spread the Good News of Jesus Christ. Her mission comes from God, who is himself ‘on mission’. So the Church’s mission is a sharing in God’s Trinitarian mission that is ongoing in every time and every place. Mystagogia, or the ongoing conversion though the preaching, teaching and deepening formation in the faith throughout a person’s Christian life and faith-journey. The living out of the faith in one’s prayer, liturgical worship, and moral life. The explicit proclamation of the Person, Life, teachings and deeds of Jesus Christ, with the aim of drawing others into that mystery. In other words: It may be said that evangelisation is everything the Church is and does. This ranges from simply being present and witnessing to a holy life, to explicitly proclaiming Jesus Christ and his Gospel. For the Church, evangelisation is not one activity among many. It is the very essence of her nature. During the papacy of Paul VI, the Church began to reach a deeper and richer awareness of culture. It was seen that, in order to proclaim the Gospel effectively, the Church must understand not only the culture(s) in which she preaches, but also her own culture. To evangelise, we need to ‘in-culturate’ the Gospel, meaning that we need to express it in terms appropriate to each particular culture. Cardinal Ratzinger was later to describe that task as being the ‘inter-culturation’ of the Gospel — a dialogue of cultures — since the Church herself has a culture and she seeks to create a culture, Christian culture. This is sometimes called ‘contextualisation’ or contextual theology. In part, these considerations were driven by a growing concern about the situation of the Church in those countries of ancient Christian origin in the West, which were now facing widespread de-Christianisation and secularisation, with the attendant loss of Catholic faith and practice. Interestingly, as far back in 1943, Henri Godin and Yves Daniel had published a dramatic book, called La France, Pays de Mission? (France, a Mission Country?). By the 1980s, it was increasingly evident that in the whole of Europe, the Church was becoming a minority. These concerns came to the fore during the pontificate of Pope John Paul II. In 1983, he explicitly spoke of the need for a new evangelisation, which he described as being “new in its ardour, new in its methods and new in its expression”. The implication was that the usual or ‘classic’ evangelisation was not working; something new was called for. From then on, the term New Evangelisation, as a specific theological term and reality, gained currency and appeared more frequently in documents, especially in preparation for the Jubilee Year, 2000. Persons and contexts where the Gospel has not been announced. What is needed is primary proclamation, the basic communication of the Gospel. Persons and contexts where the faith is flourishing and vigorous. What is needed is the on-going pastoral care of the faithful. Persons in intermediate situations: countries like our own of ancient Christian origin, where people have been baptized; are of good will; are perhaps connected with us through, say, the school, but are either no longer (or maybe are not yet) in a real, living relationship with Christ, or have drifted from the practice of faith. What is needed there is New Evangelisation. Of course, as the 1997 General Directory for Catechesis added, these socio-religious situations can overlap. “In many of the great cities, for example, a situation requiring missio ad gentes can coexist with one which requires new evangelisation… The boundaries between pastoral care of the faithful, new evangelisation and specific missionary activity are not always clearly definable” (GDC # 59). – have no real, personal and dynamic relationship with Christ and his Church. This is why we are searching for… a new evangelisation, capable of being heard by that world that does not find access to “classic” evangelisation. His thinking has developed further since becoming pope, especially in view of the forthcoming 2012 Year of Faith. In 2010, Benedict XVI established a Pontifical Council for New Evangelisation. Recently, he announced that the topic for the 2012 Synod of Bishops: “The New Evangelisation for the Transmission of the Christian Faith”. As for all Synods, there exists a draft preparatory document called the lineamenta. What is said at this Synod and the subsequent papal document will be absolutely determinative for our diocesan Department of New Evangelisation. Finally, let me say what I believe the term New Evangelisation means. “We are certainly not seduced by the naive expectation that — faced with the great challenges of our time — we shall find some magic formula. No, we shall not be saved by a formula but by a Person, and the assurance which he gives us: ‘I am with you’! Avery Dulles S.J. (a theologian who died in 2008) once remarked that the most significant shift that has occurred in the Church since Vatican II is the shift from a static, institutional model of being Church to an ‘evangelistic self-understanding.’ Whilst journalists and others often apply political categories to the Church — left-wing/right wing, conservative/progressive, etc. — others propose that the real division today is between ecclesiastics and evangelisers. In other words, between those who focus mainly on the institution, and those who focus mainly on the Person of Christ. This division is evident in the three key features of New Evangelisation. 1. 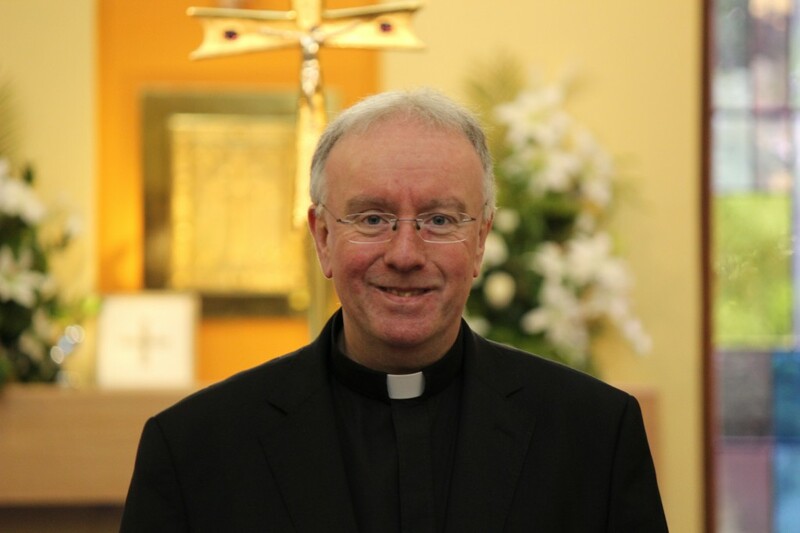 New Evangelisation calls for a new ardour. John Paul II said we need an evangelisation that is ‘new in its ardour, new in its methods and new in its expression’. New Evangelisation is therefore about every Christian deepening his or her own faith, hope and love, and becoming more fired up with a new ardour, a real love for Christ and his Church. Filled with such enthusiasm, ‘fire in the belly’, a personal-passionate love, one naturally and instinctively reaches out to draw others in. 2. New Evangelisation is Christo-centric rather than ecclesio-centric. It is basic, evangelical teaching and preaching focused on the Person of Christ and on discipleship of him (within his Body, the Church, of course). It is not ecclesio-centric, the aim is neither to preach the Church nor to enhance the institutions of the Church. To give an example: it is not the tired old football-match type of theology in which two teams compete for dominance: the left versus the right, battling over how far or how little there should be change in the Church or in this and that practice. New Evangelisation requires a new theological approach. A good image is that of orienteering, where everyone pools unique and different gifts, talents and skills in order to work together towards a common goal. 3. New Evangelisation is thoroughly street-aware, i.e. conscious of today’s cultural context. We are Catholics who live in a culture focused on design, media image, style and entertainment. Yet this culture is also a corrosively secular, pluralist, culture which seeks to drive religion out of the public sphere. In this challenging context, it is imperative to underline the ‘brand’ of the Church, i.e. to be able to articulate what is distinctive about being Catholic, a faith that is utterly ancient and yet thoroughly modern and alternative. We need to witness boldly in the public domain to Christ and to that which makes us different. At the same time, we need to make use of the new media resources and available technologies (e.g. Shrewsbury’s new diocesan website). I would say, theologically, that this means we should envisage our Catholic Tradition not as a chest of old treasures to be kept locked away or constantly paraded as in a living museum, but rather as a tool-box from which things both old and new can be brought out and pressed into service — as appropriate in different circumstances — in order to communicate the message more effectively . These three features — new ardour, new method (Christo-centricity), and new expression (culturally conscious) — are what characterise New Evangelisation.